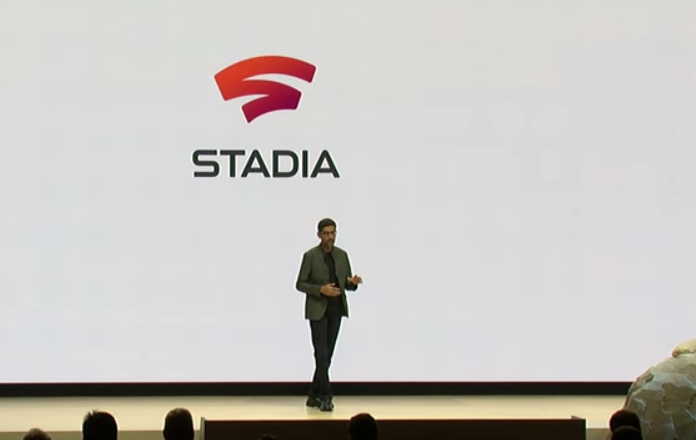 Google CEO Sundar Pichai unveiled their Stadia game streaming platform at the 2019 Game Developers Conference in San Fransisco today. Stadia is designed to bring high-end gaming to Chrome and other devices and aims to eliminate the many barriers to gaming. It will likely be a subscription service similar to Netflix but focused on games that can be played without a console right in Chrome or other devices. Perhaps the biggest impact of gaming is how it pushes us to make big leaps in computing and networking power, high fidelity graphics, and the infrastructure that supports it all. All of it is pushing computing and technology forward and I find it really exciting. At Google, we have always believed that technology should adapt to people. Not the other way around. We’ve been building towards this vision for some time. For example, when we launched Chrome a decade ago we envisioned that it could be a modern platform for web applications. We wanted to bring the power of the web to everyone including use cases that seemed impossible at that time like high-quality games. Finally, we are making progress towards that goal. In fact, over the last two years, we’ve been hard at work on game streaming technology. Last Fall, we launched our first public test with Project Stream. But a technical test wasn’t the whole view of our ambition. It was probably the worst kept secret in the industry. Internally, we were actually testing our ability to stream high fidelity graphics over a low agency network. We learned that we could bring a triple-A game to any device with a Chrome browser and an internet connection, using the best of Google to create a powerful game platform. When we say best of Google, it always starts with our cloud and networking infrastructure. Our custom server hardware and data centers can bring more computing power to more people on planet Earth than anyone else. Today, we are in 19 regions, and in over 200 countries and territories connected by hundreds of thousands of miles of fiber optic cables. The best of Google also includes our open platforms that allow us to reach billions of people. With Google, your games will be immediately discoverable by over two billion people on a Chrome browser, Chrome Books, Chrome Cast, Pixel Devices, and we have plans to support more browsers and devices over time. That’s in addition to all of the people playing and watching games across YouTube and Google Play. When we build these ecosystems, we always take the approach that we only succeed when our partners do. Collectively, our partners across web, Google Play, and YouTube have earned more than $110 billion over the last four years alone. We are committed to this approach here as well. So now, we have focused on our next big effort, which is to build a game platform for everyone. And, when we say for everyone, we really mean it. It is one of our most cherished values as a company. Be it Android or Chrome or AI, we are dead serious about making technology accessible for everyone. But, if you think about games, there are a lot of barriers for users to play high-end games. Beautiful graphics really need high-end consoles or PCs. And games don’t have instant access. Think about the way the web works. You can easily share a link and it works seamlessly. We want games to feel that way too. Instantly enjoyable with access for everyone. I think we can change the game by bringing together the power and creativity of the entire community, people who love to play games, people who love to watch games, and people who love to build games. That means all of you. We are really excited to work with you. We want to build a platform and we want you to show us what’s possible. And together, I think we can create a new games experience powered by best of Google and built for everyone.